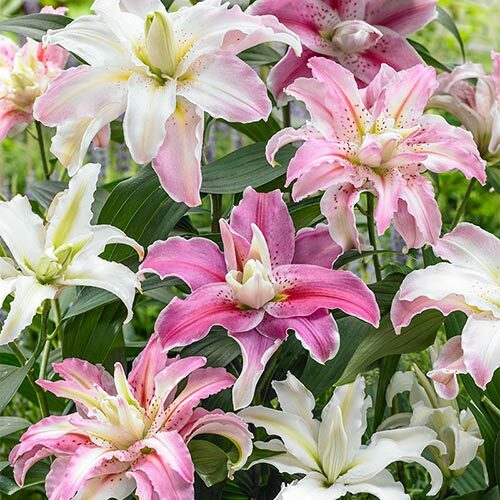 Large, luscious, fragrant lilies are one of nature's greatest contributions to fine living, and you may be surprised that you can easily grow your own. 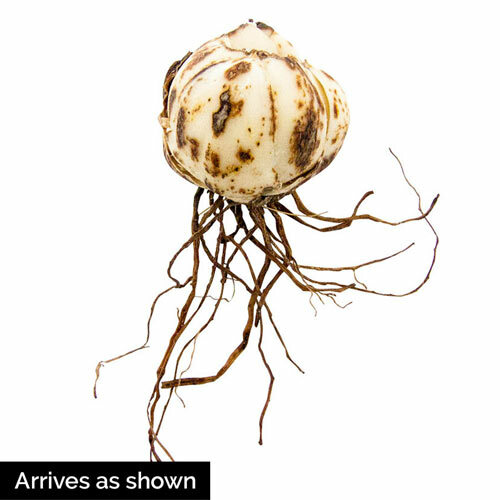 Our garden of top-size bulbs includes 6 different varieties that will convert you to the idea of always planting enough to cut. 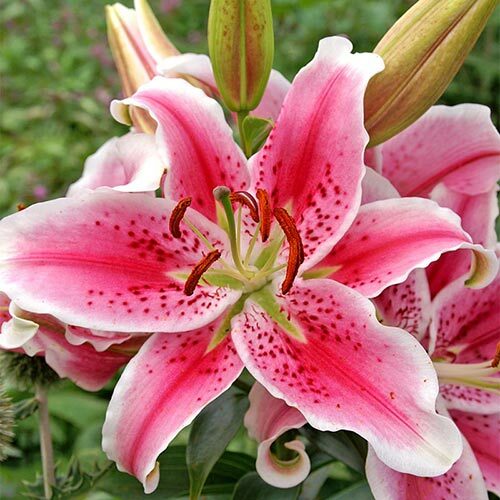 Inhaling their sweet perfume as you head off to the office, or in a nightstand arrangement after a long day, you'll wonder how you ever lived without them. 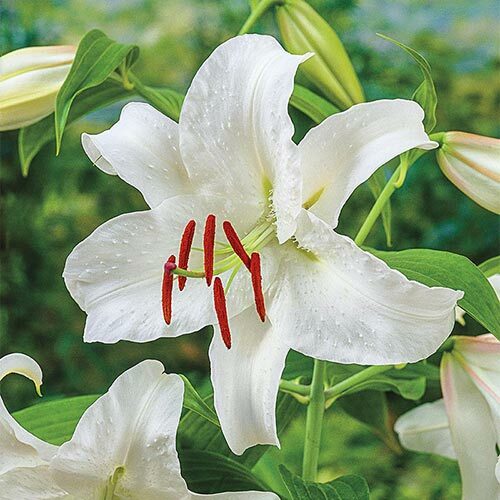 Treat yourself to this garden of 15 bulbs, expressly selected for cutting, and enjoy their sweet scent as you admire them in the garden or in a vase. 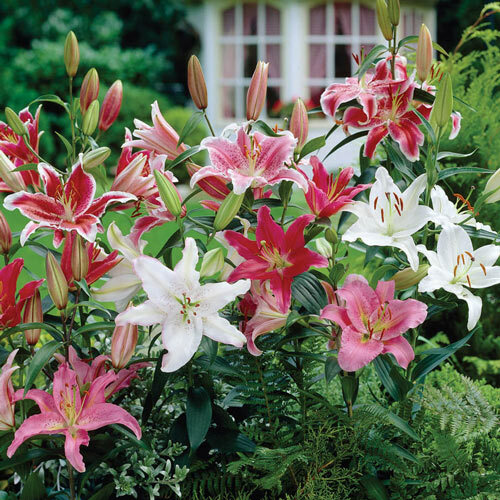 All they require is a sunny location in well-drained soil and some support or protection from wind and weather, as the stems can be heavy when in full flower. You'll be rewarded with bouquets of fresh, long-lasting flowers and the reminder that you're worth it. 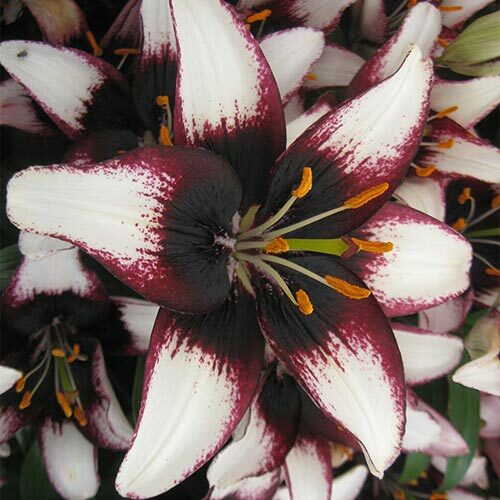 Collection contains 3 each of Lilium 'Casa Blanca', 'Stargazer', 'Black Eye' and 2 each of Lilium 'My Wedding', 'Distant Drum', 'Sweet Rosy'.